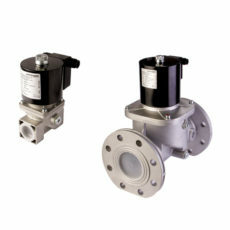 A gas solenoid valve is usually used with a gas detection controller in boiler rooms or any facility using gas burners. 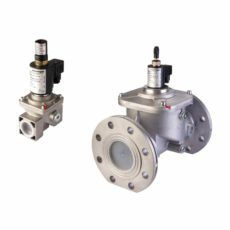 Thanks to its positive safety operation, a gas safety valve ensures the shutdown of the gas supply through a voltage lack. A gas safety valve, or gas solenoid valve is a required unit for any gas installation. 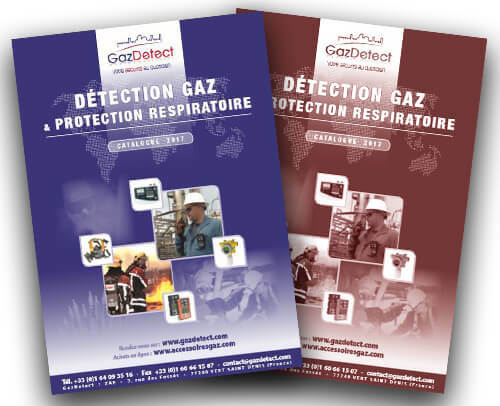 Once a gas leak is detected, the gas detection controller will shutdown the power supply of the gas solenoid valve through a closed relay. This lack of voltage will then close the gas safety valve (EN161 standard). All of our safety valves include an ATEX solenoid coil and are available with several different voltage from 12 V to 240 VAC. The 240 VAC units are available in stock. There are two types of electronic gas valves: the manual solenoid valve and the automatic safety valve. A manual reset safety valve automatically turns off (shutdown of the solenoid valve) through a lack of voltage. It remains closed until the operator comes to reset the solenoid valve with manual override. This is usually a push-button or a lock system to trigger in order to release the valve shutdown. As for the manual reset solenoid valve, an automatic safety valve is a safety unit that shutdowns through a voltage lack. 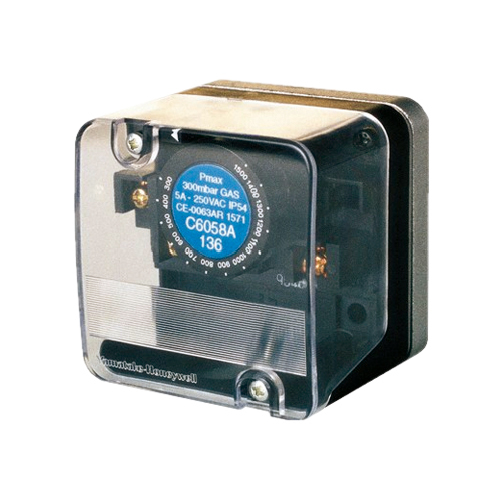 Contrary to the manual reset valve, the automatic gas solenoid valve unlatches and opens once the voltage is back. Thus the shutdown of the gas valve is not self-fixed. Relief valves are the first elements of an AIR/GAS line. They are available with or without locks. This very important safety unit enables the gas supply shutdown on a strategic location. The best location for the general gas solenoid valve is outside the building, protected inside a safety box. 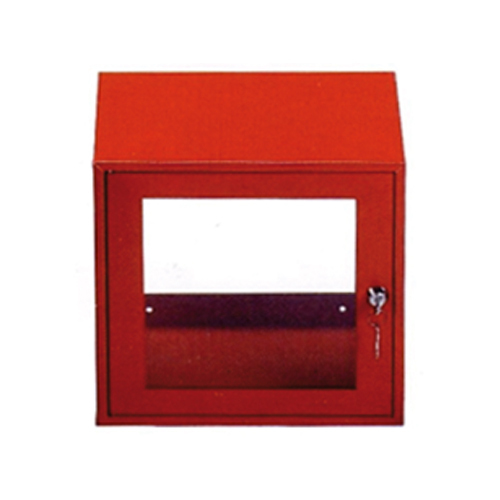 Thanks to its color (red) and its key lock system, the safety box is protected against the weather and malicious behaviors. 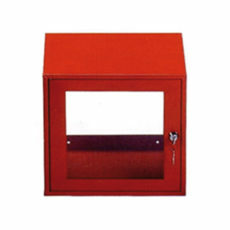 The BSVD safety box is designed to protect taps and gas relief valves. Manual reset safety solenoid valve for 6 bar maximal pressure.